What to watch: Must-win game in Buffalo? Published: Sept. 15, 2016 at 02:26 p.m. Updated: Sept. 15, 2016 at 07:05 p.m. There's no such thing as a must-win game in Week 2, but the Bills and Jets are doing their best to test that weatherworn theory. A) The Jets would tumble to 0-3 against Rex Ryan's Bills under coach Todd Bowles and face a brutal schedule -- the Chiefs, Seahawks, Steelers and Cardinals -- over the next four weeks. B) The Bills, meanwhile, would be forced to right the ship in back-to-back tilts against Arizona and New England, making an 0-4 start a distinct possibility. 1. 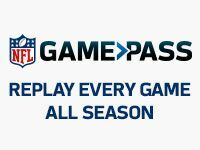 GamePass viewers will be challenged to find a more dominant position group than what New York's defensive line put on tape in Week 1. Gang Green dropped a bomb on Andy Dalton, sacking the Bengals quarterback a whopping seven times. Second-year defensive end Leonard Williams devastated a solid Cincy line with 2.5 sacks and five hits on Dalton, the most combined takedowns and hits on a signal-caller of any player in Week 1. "They certainly got one of the best players right there," Ryan said of Williams, per the New York Daily News, titling the behemoth: "The big monster." It's not just Williams, though, as fellow end Muhammad Wilkerson rocked the Bengals with 1.5 sacks while nose tackle Steve McLendon, after never really shining with the Steelers, was a whirlwind in place of the departed Damon "Snacks" Harrison. It won't get any easier for the Bills with game-plan wrecking lineman Sheldon Richardson set to rejoin the party after serving his one-game suspension. Moving the ball against the Jets is the first order of business for the Bills, who averaged a paltry 2.7 yards per carry against the Ravens. That won't be easy with talented left tackle Cordy Glenn out of the mix battling an ankle injury. 2. Buffalo's offense was a dead-on-arrival operation against Baltimore, as the Bills became just the third team over the past decade to finish with 160 yards or fewer in Week 1. It was an unexpected egg to lay after Buffalo averaged 26.5 points per game last season with the trio of quarterback Tyrod Taylor, running back LeSean McCoy and wideout Sammy Watkins in the lineup. 3. Watkins is experiencing pain in his foot, but is officially active for tonight's game. The Bills receiver -- if he plays his full share of snaps -- should see plenty of one-on-one matchups with Darrelle Revis, the Jets cornerback who heard it from the media after Bengals receiver A.J. Green went off for 12 catches, 180 yards and a touchdown in Week 1. Green caught 10 of 10 passes for 152 yards and the touchdown against Revis. To be fair, GamePass shows that New York's safety was out of position on Green's long scoring grab, while Revis was swallowed up by blockers on a handful of bubble screens. He's suffered against the game's top wideouts dating back to last season, but it's too early to give up on Revis as a phenomenal defensive talent. Just ask Ryan, his former coach, who said: "The thing about Revis is, if he's slipped at all as a player, he's coming down from the very tip of Everest. That's where he'd be coming down from. So how far down? I'm not sure but I know one thing; I know the kind of player he is." 4. Jets quarterback Ryan Fitzpatrick is 1-7 vs. Rex-coached defenses and infamously tossed three killer picks against the Bills in last year's ill-fated Week 17 loss to Buffalo. Still, he's never played in an offense with this brand of talent. The combination of Brandon Marshall and Eric Decker catching passes has allowed Fitzy to sling multiple touchdown passes in six of his last seven games. Week 1 also saw third-year slot receiver Quincy Enunwa grab a team-leading seven passes as New York's quarterback distributed the ball to just five separate targets. Two of those pass-catchers were running backs Bilal Powell (2/7/0) and Matt Forte (5/59/0), who form one of the AFC's more underrated backfield combinations. Forte also looked spry running for 96 yards at 4.4 yards per carry while Powell came on late to hammer Cincy's defense for 41 yards at a whopping 10.3 yards per tote. They'll be tested against Buffalo's front seven, a unit -- led by linemen Jerry Hughes and Kyle Williams -- that produced four sacks and held Baltimore to 83 yards on the ground in Week 1. 5. Expect this game to be a bruiser. The Bills are retiring Hall of Fame pass-rusher Bruce Smith's number on Thursday night while looking to avoid their first 0-2 start since 2010. The prideful Ryan has a chance to send his old team into a wild tailspin, but that won't happen if the Bills don't get their ground game going early. LeSean McCoy lashed Gang Green for 112 yards on the ground last season, but was held in check against the Ravens. Even if he bounces back tonight, this early season grudge match has the feel of a low-scoring, brass-tacks slugfest with a dash of vengeance.